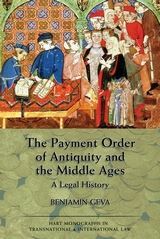 Examining the legal history of the order to pay money initiating a funds transfer, the author tracks basic principles of modern law to those that governed the payment order of Antiquity and the Middle Ages. 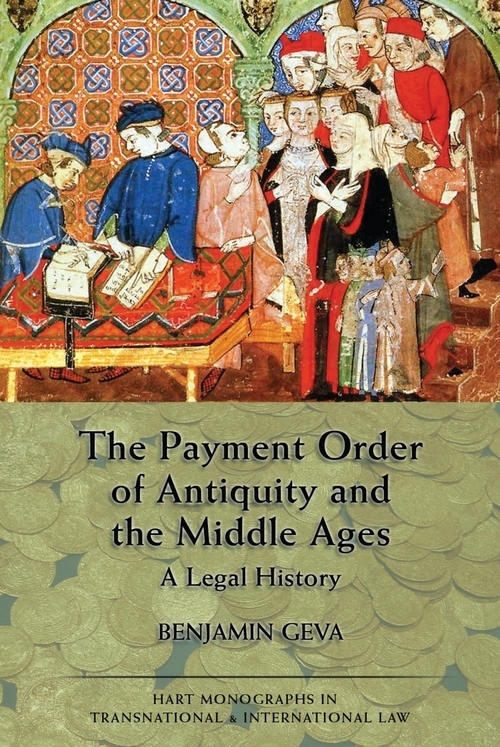 Exploring the legal nature of the payment order and its underpinning in light of contemporary institutions and payment mechanisms, the book traces the evolution of money, payment mechanisms and the law that governs them, from developments in Ancient Mesopotamia, Ancient Greece, Rome, and Greco-Roman Egypt, through medieval Europe and post-medieval England. Doctrine is examined in Jewish, Islamic, Roman, common and civil laws. Investigating such diverse legal systems and doctrines at the intersection of laws governing bank deposits, obligations, the assignment of debts, and negotiable instruments, the author identifies the common denominator for the evolving legal principles and speculates on possible reciprocity. At the same time he challenges the idea of 'law merchant' as a mercantile creation. The book provides an account of the evolution of payment law as a distinct cohesive body of legal doctrine applicable to funds transfers. It shows how principles of law developed in tandem with the evolution of banking and in response to changing circumstances and proposes a redefinition of 'law merchant'. The author points to deposit banking and emerging technologies as embodying a great potential for future non-cash payment system growth. However, he recommends caution in predicting both the future of deposit banking and the overall impact of technology. At the same time he expresses confidence in the durability of legal doctrine to continue to evolve and accommodate future payment system developments. 4. Deriving History from Law: Are Cheques Traceable to the Talmud? “...by publishing The Payment Order of Antiquity and the Middle Ages: A History, Professor Geva amply demonstrates the depth and breadth of his learning in this area as the foundation for his scholarship on current and likely future issues in payments law. All banking lawyers should be delighted that he has produced this volume, so that they, too, may benefit from his lifelong devotion to the study of that law. This book is both lengthy and very detailed, as well as being very closely argued throughout and no review can do justice to the scholarly riches found therein. ...a very fine work of immense learning and scholarship. It is well-written, well-organized, and once chapter one has been consumed, intelligible to the interested non-expert reader. The historical matter is presented in meticulous and logical detail, a testimony to a very precise and logical mind. I learned an enormous amount from reading the book, expect to return to it frequently, and commend it heartily to readers.